GETTING STARTED ON YOUR GARDEN takes a few things like the right place, the right plan, and most importantly of all the best garden tools to get the job done. With so many tools to choose from and so many different brands, it's hard to know which ones your need, which ones you can do without, and which are the best of each. I can't even begin to tell you how much money I have spent buying junk tools before I finally gave in and spent a little more and bought good tools. So, to help you avoid making the same crazy mistakes I did, I have put together the following information. THERE ARE MANY STYLES of gardening glove on the market and they might be one of the best garden tools you will ever buy. Choose a pair that fits you comfortably and gives you the flexibility to perform any task you have in mind. For example, leather gloves are good for digging, chopping wood, and heavy work. Cotton gloves might be a better choice for weeding and harvesting. Shop for quality rather than cost as cheap gloves won't last and put your hands at risk of injury. Secateurs are one of the most common gardening tools and are vital. They really only do one job, which is cutting/pruning thin stems from plants. If you have heavier duty cutting to do you might want to look for a set of loppers (see below) or a gardening saw. You may need to try several pairs to find the one that best fits your hands as feel is a big part of a good set of secateurs. It is a very repetitive action so it's important that your secateurs feel comfortable and easy to use. The Hori Hori knife is truly the ultimate gardening tool. It can be used to dig up weeds, dig holes for plants and bulbs, free plants from pots, cut small roots and so much more. Pay close attention to the type of steel used to make the ones you are looking at. The blade should be slightly concave from tip to handle and have one straight sharp edge and one that is serrated. Avoid those made with cheap plastic handles that are likely to break. 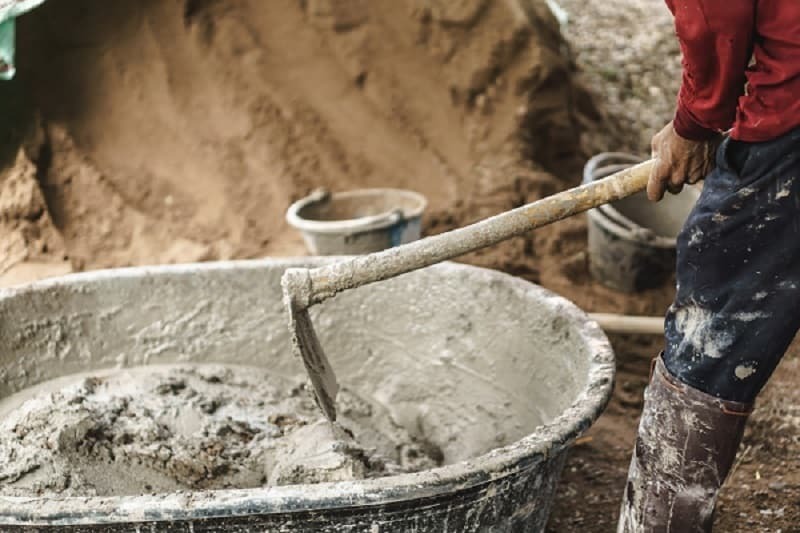 Working outside can range from wet and muddy to dry and rocky. Choose a pair of gardening shoes (or clogs) that will protect your feet, no matter what ground conditions are like. Your shoes should also be able to protect you from insects, spiders, thorns, chemicals, and many other challenges. But most of all, you really want a pair of shoes that will keep your feet dry and comfortable for several hours at a time. Because it just isn't enjoyable working in wet shoes. Any decent size job in your yard requires some manual labor. And this has been the domain of the wheelbarrow for the last 1800 years. Loppers are made for cutting through thicker branches that are likely to break your pruners. Like the pruner, they are available with bypass and anvil blades. The big difference is the length of the handles which can range from 15-inches long to 32-inches or longer. The longer handles give you additional leverage but can make them harder to handle. Be sure to look for top quality steel blades and comfortable grips that won't slip out of your hands. Try hefting a few pairs and find one that is not too heavy for you to hold up and work with for extended periods of time. You will become best friends with your garden fork, as long as you buy the right one. They have sharp tines that are designed to be pushed easily into the ground. You can use them to dig new ground, turn over the soil of an existing garden, mix in fertilizers, and harvest your crops. The strongest ones have a one-piece head and top grade hardwood or fiberglass handles. Be sure you pick one that has thick strong tines that won't bend as you are digging. Cheap forks are often made with inferior steel that will rust if you let your fork sit out I the rain or put it away wet. A good gardening hoe is useful for weeding, planting, tilling, and landscaping. There are several styles to choose from, including the Warren hoe with its triangular head and the hoe-cultivator with a hoe on one side of the head and a set of cultivator tines on the other. The size of the head can range from 5 by 7 inches to 4 by 10 inches. Handles can be as long as 62 inches and made from hardwood or fiberglass. Choose a hoe that fits your hands comfortably and has a strong carbon steel head. Weeding tools come in two styles, long and short handled. The first are designed to make it easier for you to pull weeds while you are working on your knees, which is fine as long as you can get down there. The second are made to be used standing up, which will be much easier on your back and knees. The problem with long-handled weeding tools is that there are so many gimmicky tools being touted on the late-night infomercials it can be hard to know which ones to trust. Who knew there could be so many different ways to dump water all over your yard? I think I have bought over a dozen different sprinklers over the last few years. The first thing to consider is what you are buying a sprinkler for? They come in oscillating, pulsating, and stationary models, each of which has its good and bad points. Consider how much ground there is to cover, your water pressure, and how much water your plants need. Many have adjustable water patterns to help you get the most water where you want it. Most of us have a hard time trying to mix and apply chemicals like pesticides properly. The best way to avoid this is to invest in at least one gardening sprayer. They are available in small hand-held units, backpack models, and those you have to roll around on wheels. Each has their good and bad points, but avoid the cheap department store models as most of them leak and fail. You might want to consider buying more than one so you have one for each type of chemical you plan to spray. If you are putting in a new garden, digging it by hand can take forever and leave you with sore hands and blisters. A tiller will make the job much easier. They come in front tine, mid tine, and rear tine models, each of which has its advantages and disadvantages. Tillers range in size from small models made to loosen and aerate soil all the way up to powerful beasts that are designed to tear up the sod and any ground cover in a single pass. Be sure you don't get carried away and end up buying one that is too big for you to handle. Even if you already have a riding lawn mower, you really should not be using it as a garden tractor. Most are not strong enough to haul even a small trailer. True lawn tractors are bigger in size, have larger engines, and a built-in tow hitch. You might also want to consider buying one that is equipped with puncture-resistant tires as this can save you a lot of wasted time and money. Most have some form of electric power take off and come with a mower deck. Some models offer a wide variety of accessories such as tillers and mulchers. If your thinking of gardening in a new space? Then a landscaping rake is going to be your new best friend. Basically it does all the dirty work (with a little help from you). It pulls out grass, clears rocks and leaves a relatively flat surface for you to do as you please. Curb appeal is so important to the value of a home. And nothing says 'house proud' than a well kept and manicured lawn. Although weed pulling is an important point, the edges are probably the first thing your neighbors and guests notice. Gardeners with even modest experience know that a lot of what they do is maintenance. The good news is that this maintenance can be made a lot easier by modern conveniences. A mulcher is a great machine to have if you have excess 'tree debris' left around. It will turn your waste product into something useful which you can then use, or make better use of your green recycling bin space. And they aren't as expensive as you think! Find out more about what one can do for you by clicking or tapping the button below. If your thinking about putting in some brick, mixing some concrete or render then I highly suggest a mortar hoe. If your not familiar with the tool, it is designed to mix mortar primarily in a wheelbarrow. It's primarily for homeowners, anyone mixing a lot will use a portable mixer. The best part about the tool though is how it saves your back and your time, and compared with other options it is quite affordable. Find out more about mortar hoes here.